An alien planet approaches Earth, set to invade. 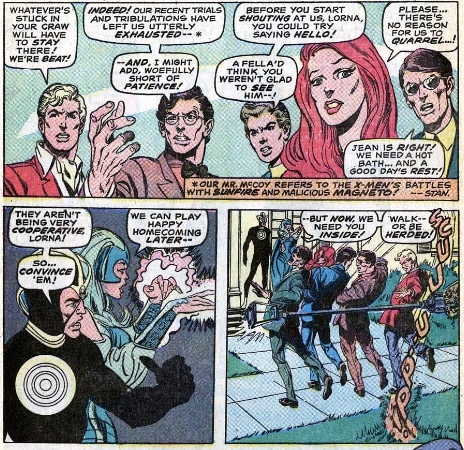 The X-Men plan a counterattack, but there is friction building between them. 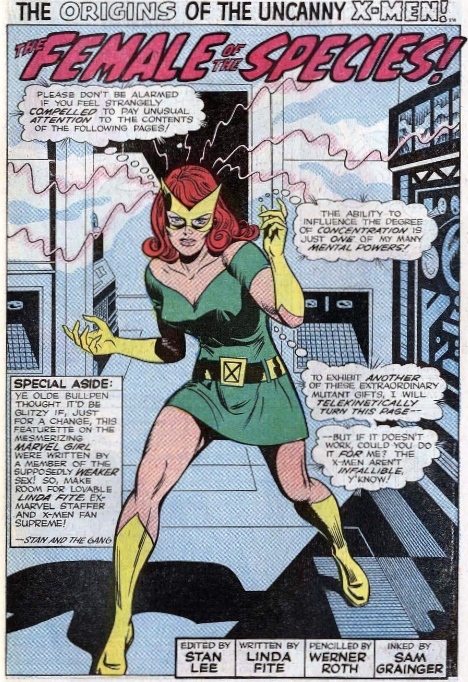 The X-Men face one of their biggest external threats just as their internal struggles reach a boiling point. They’ve always been a five person unit, and their new friends are rubbing them the wrong way. Can they rally to save both man and mutant kind? If they succeed it won’t be without some significant help, as even bigger secrets will be revealed. Guess who’s back. Posted in Changeling, Ed Posts, Havok, Polaris, Professor Xavier, S.H.I.E.L.D. 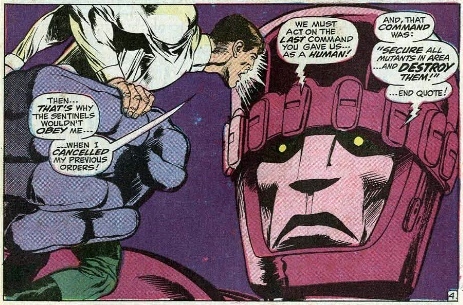 Issue 64 continues a long standing tradition of allies being complete assholes to the X-Men when they first meet. It started with Namor back in issue 6, and since then there’s been a long line of future X-Men acting like total douchebags, including Quicksilver, Scarlet Witch, Banshee, Mimic, you name it. Even Spider-Man was a total prick. 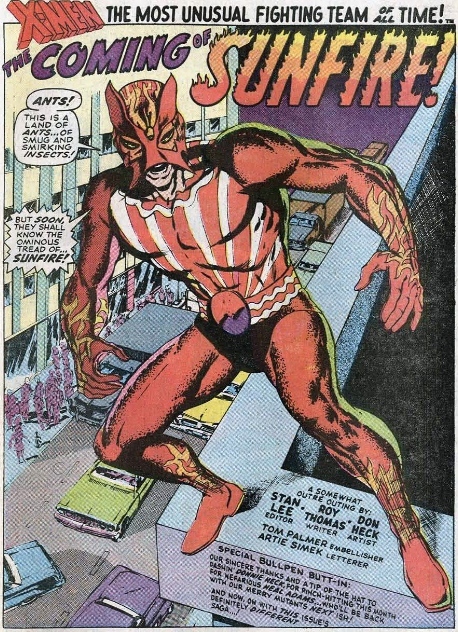 This issue introduces Sunfire, enemy of the state. He’s an international terrorist. I didn’t know that quite so many of them started off as super villains. Sauron might not have been from the Savage Land, but his origin is still forever tied to it. As the X-Men search for his body, they discover a passage into this legendary realm, a primitive jungle world hidden beneath Earth’s southern pole. They have an adventure with Ka-Zar and Zabu! The X-Men find themselves knocked down a few pegs on the food chain, faced with dinosaurs, monsters, and a classic villain. Issues 62 and 63 are full of surprises and danger. Before we continue, I want to take a moment to observe some of the artistic changes that have been taking place over the last few issues. 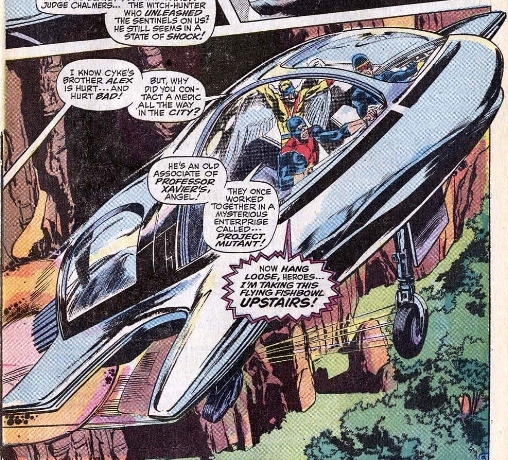 The X-Men are maturing, both as characters and as a comic. The series is beginning to feel less like a monster-of-the-month novelty and more of an ongoing saga. This is reflected throughout the writing, the layouts, and the artwork itself.